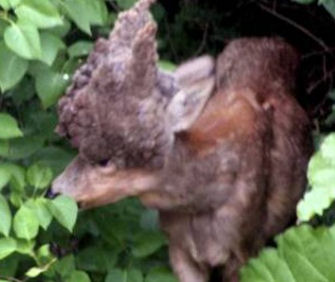 A deer in Gothenburg, Sweden has Gnarly cactus. normally referred to as "cactus buck" or "Gnarly buck". Hikers Beware! Danger in the woods! Possible Alien Skull found - DNA tested!